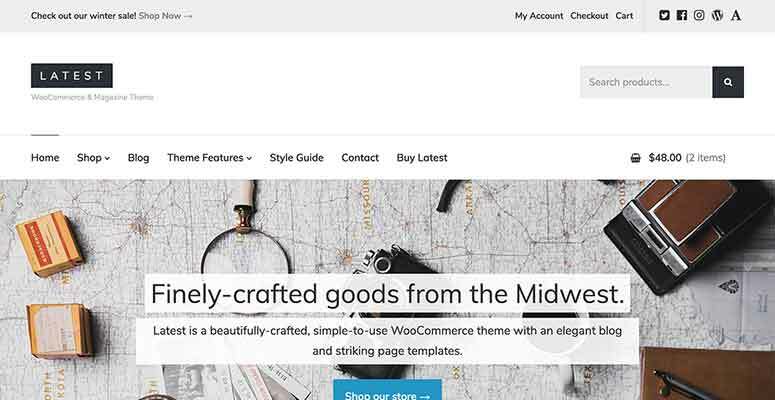 Do you want the best WooCommerce theme to create your online store? For WooCommerce shops, you’ll need a responsive WordPress theme that can display your products beautifully. You should look for a theme that fully supports WooCommerce and its extensions. 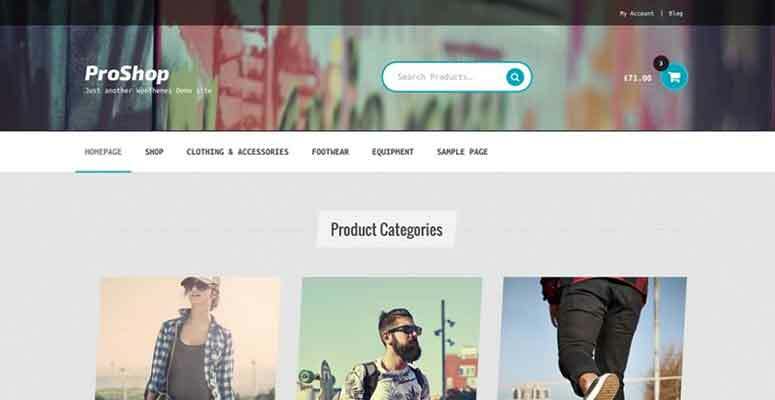 In this article, we’ve handpicked the best WooCommerce themes for your online store. 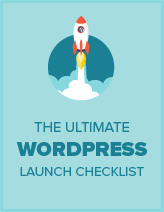 It works side-by-side with WordPress which means you’ll get instant access to all the WordPress features and flexibility. There’re 2 kinds of WordPress websites which can confuse beginners. See our detailed guide on WordPress.com vs WordPress.org for more information. For your online store, we recommend using WordPress.org which is a self-hosted solution that works great with WooCommerce. First, you’ll need to purchase a domain name and WooCommerce web hosting to create your online store. We recommend using Bluehost. They’ve an eCommerce hosting solution. It’s one of the best hosting providers in the world, and is also officially recommended by WordPress core. For more details, you should read our Bluehost review. Fortunately, they’re offering our users a free domain, a free SSL certificate, and a discount on WooCommerce hosting. You can get all of this in $6.95 per month. After purchasing your domain name and web hosting, simply follow our guide on how to create an online store in WordPress. 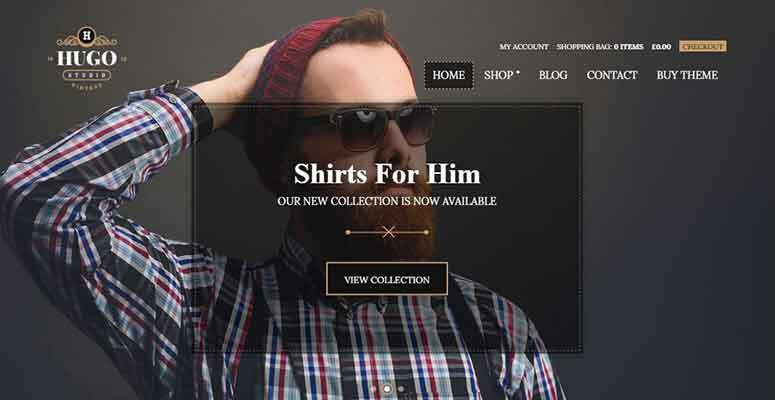 Now that you’re ready, let’s take a look at the best WooCommerce themes for your online store. 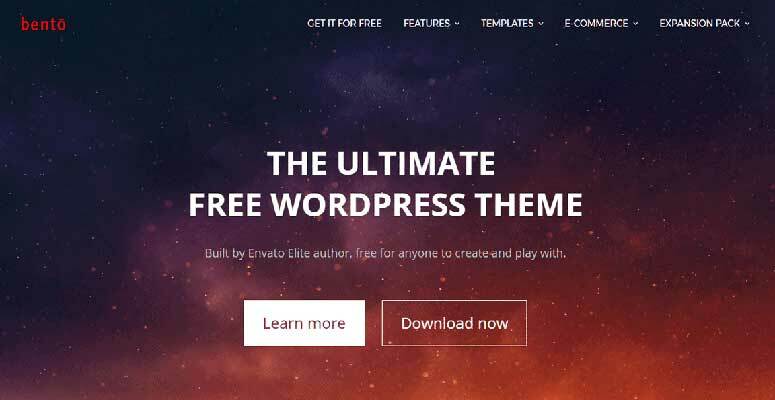 Ultra is a powerful and modern WordPress theme suitable to create all types of websites. It comes with multiple built-in website demos that can be used to launch your online store in 1-click. Ultra theme supports WooCommerce out of the box. It offers premium features like pricing tables, image galleries, header layouts, contact form support, and more. 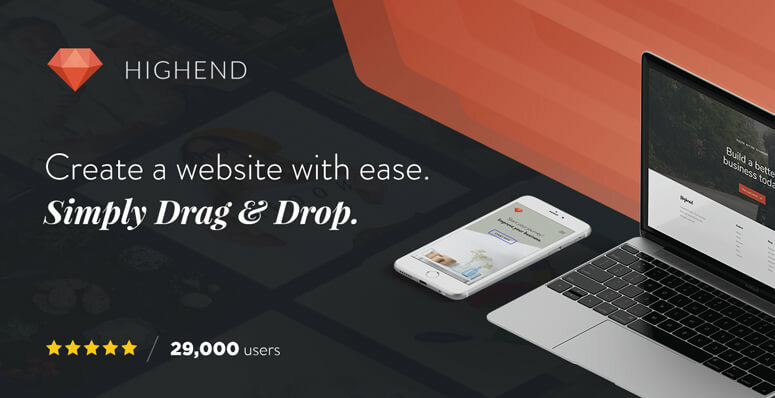 It has a built-in drag and drop page builder to easily add features on your website. Hestia is a stylish WordPress theme that can be used to easily create online shops. It’s a highly customizable and flexible WordPress theme with all features you need to start a WooCommerce shop. Inside you’ll find custom theme options, color schemes, built-in layouts, multiple header templates, social sharing buttons, and much more. You can use the live theme customizer to edit and manage theme settings. 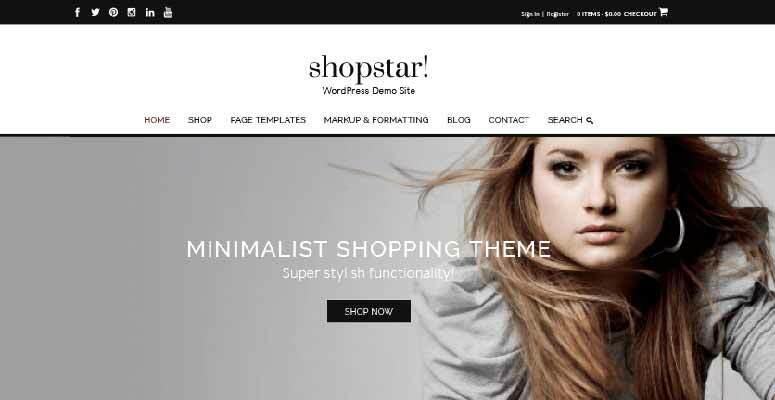 Shopstar is a free WordPress WooCommerce theme specifically designed to create online shops for fashion, apparel, and lifestyle brands. It has a simple and neat layout to display your products beautifully. The most notable features include blog page layout, product page templates, multiple navigation menus, custom sidebars, and featured product section. It fully supports all third-party contact form plugins. 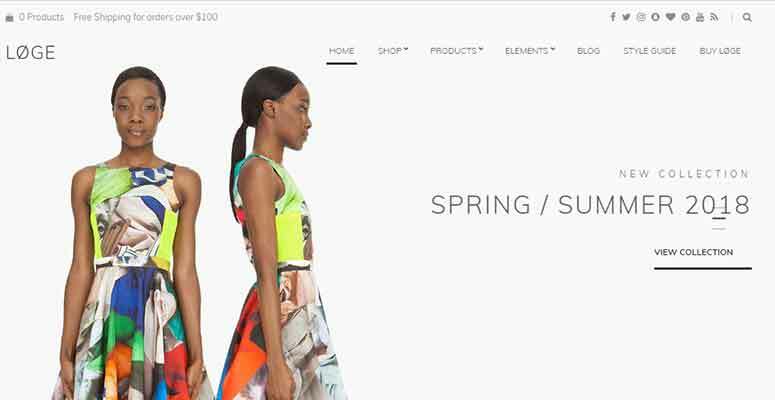 If you’re looking for an elegant and beautiful WooCommerce theme for your online business, then Spencer is the perfect choice for you. It’s a flexible WordPress theme with widgetized layout on the homepage and landing pages. It has infinite color choices, custom widgets, a drag and drop page builder, newsletter subscription forms, and social icons support. Spencer works great with all third-party WordPress plugins that make it super flexible. 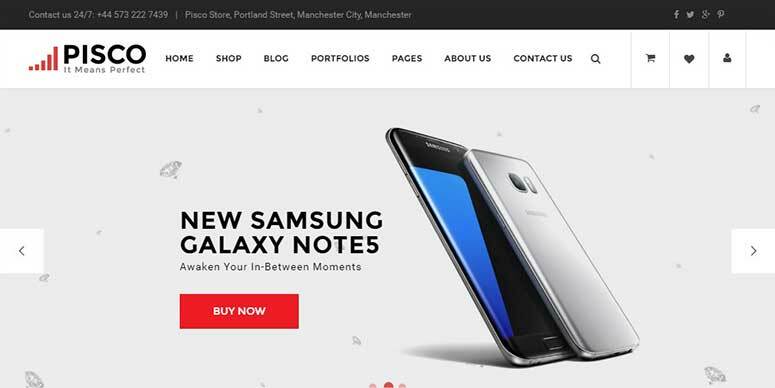 As the name suggests, Shoppe is a WooCommerce theme suitable for your business stores, eCommerce shops, and online selling websites. It includes premium features that are useful for your online business like custom product search, quick product view, image zoom, wishlist, and ajax-based shopping cart. It comes with multiple page layouts, custom styles, page builder support, and much more. You can also create your own custom layouts to change the look of your online store. 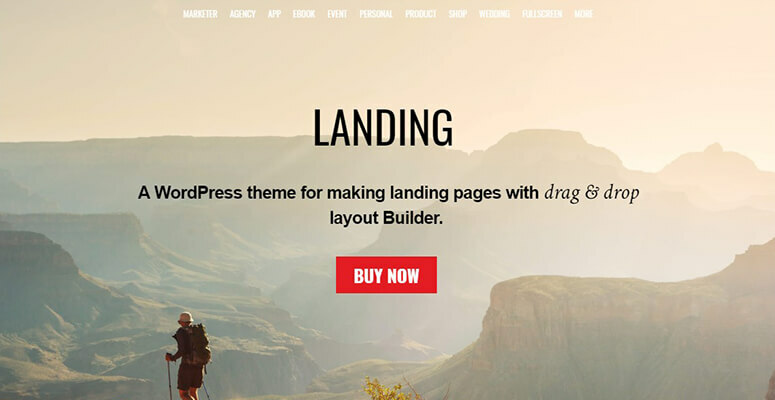 Landing is an excellent WordPress theme with a drag and drop page builder to quickly launch your WooCommerce store. It’s a highly customizable and flexible theme to start an online business. It also includes custom post types, theme options panel, integration with MailChimp and its alternatives, social sharing icons, and more. The theme has a flexible header layout that supports full-width image, sliders, text, and call to action button. 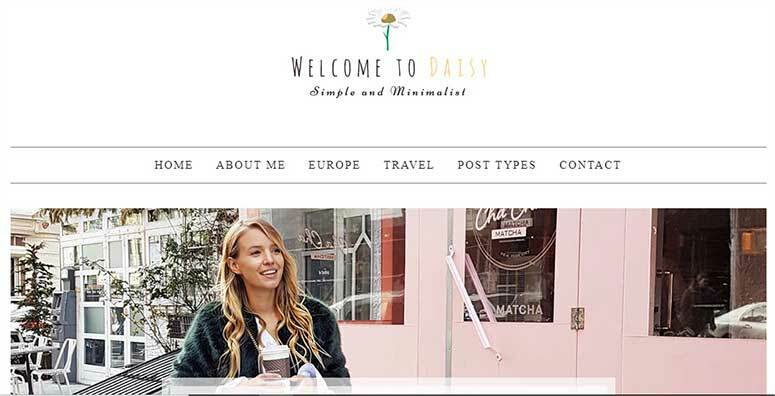 Daisy is a beautiful WordPress theme suitable for online stores that sell photography services and travel accessories. It has a minimalist design and multiple custom layouts. Daisy allows you to display featured content and products beautifully on the homepage. It features a custom header and navigation menu layouts. It has a separate blog page with beautiful template choices. The theme options can be managed using the live customizer with preview. 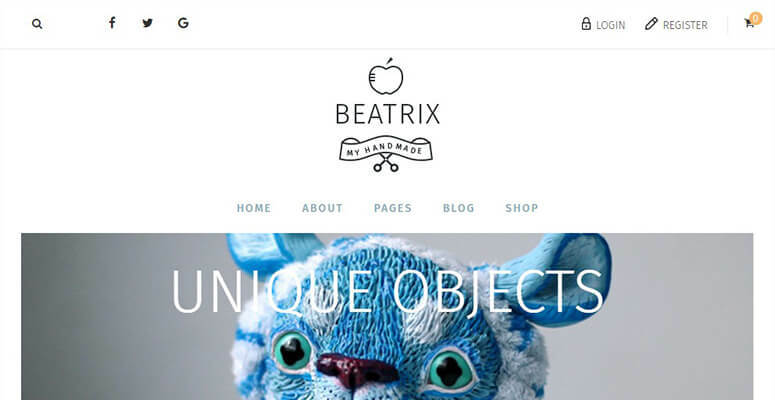 Beatrix is a modern WordPress theme designed specifically for online pets stores. It fully supports WooCommerce and all its extensions. The homepage has built-in sections to beautifully display your pets to users. It comes with a drag and drop page builder to launch your online store quickly. It’s fully optimized for SEO and ships with a 1-click demo content importer. 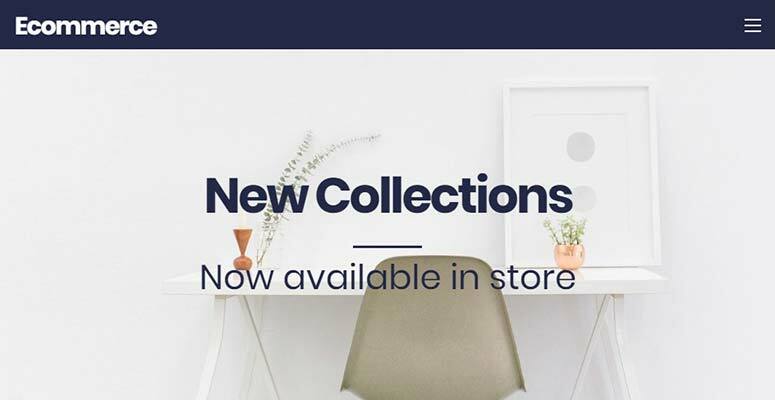 Storefront is a WooCommerce theme with flexible and customizable options for your online store. It’s powered by WooCommerce core team and fully supports the Storefront extensions bundle. It has unlimited color options, custom widgets, multiple page layouts, demo content importer, and more. 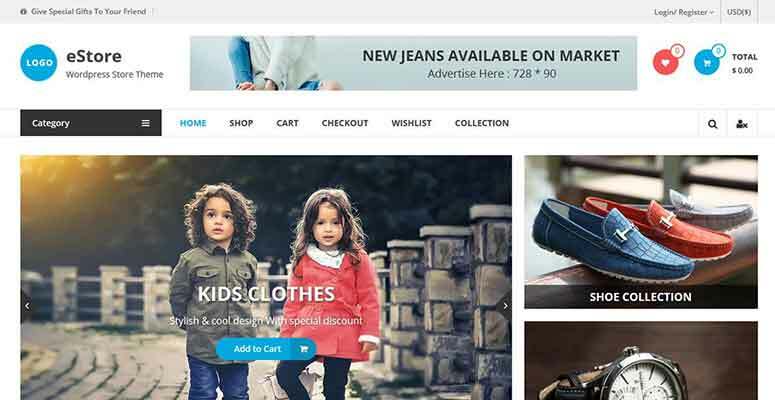 It works as a parent theme to multiple WooCommerce-based child themes. 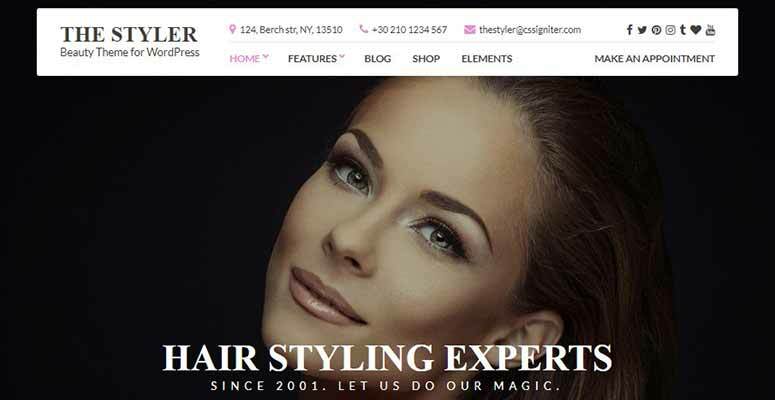 The Styler is a professional WordPress theme for your WooCommerce store. It’s suitable for fashion, lifestyle, and beauty salons. 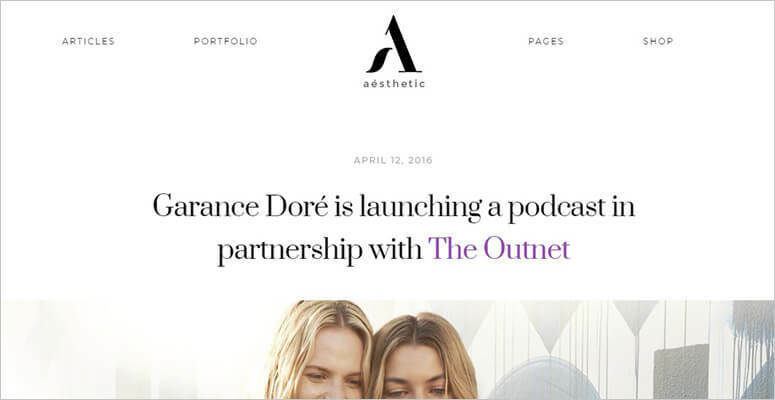 The Styler can also be used to sell beauty products online. It comes with a widget-based homepage that’s easy to set up. Inside you’ll also find a drag and drop page builder, pricing tables, and more. It has built-in sections for user testimonials, reviews, team members, services, and image galleries. Arcade is a WordPress WooCommerce theme use to sell online games, gaming accessories, electronics, and multimedia products. It has a large space on the homepage to display your featured products professionally. You can use the Storefront extensions bundle to add more features in your online store like testimonials, reviews, sticky cart, mega menus, and more. Multishop is a stylish and flexible WordPress eCommerce theme for your online stores. It has support for WooCommerce and works great with all the third-party WordPress plugins. It comes with beautiful color schemes, sidebars, page layouts, custom search, ajax based product filter, and product sorting option. It includes companion image slider plugins. 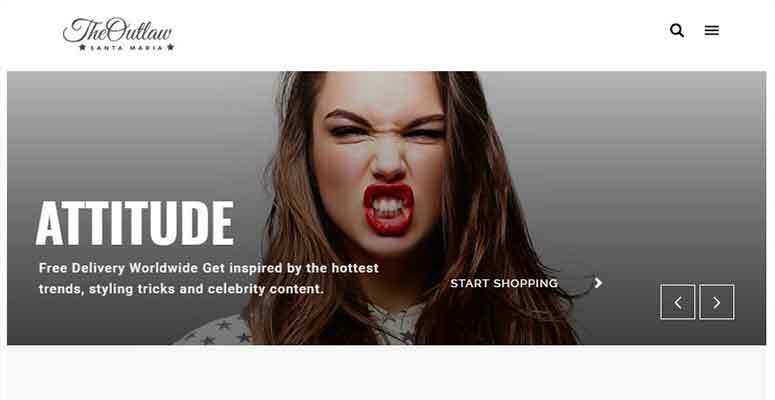 eStore is a stylish and free eCommerce theme for your online stores. It integrates with WooCommerce to sell your products online. 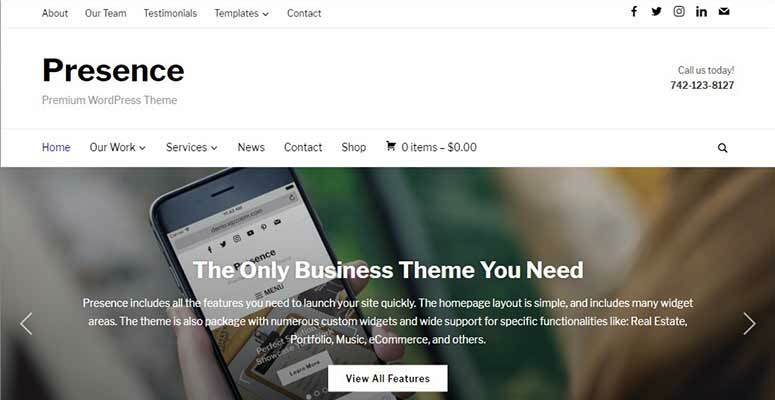 It’s a beginner friendly and easy to set up WordPress WooCommerce theme. It features custom widgets, color choices, category based product sorting, featured content section, and much more that you need to start an online store. ProShop is a minimalist WordPress theme. It’s also a child theme of the Storefront theme powered by WooCommerce core. It’s a perfect fit for your fashion accessories, clothing, and sport gear shops. Being the child theme, it also includes all the features of Storefront theme. It can be customized using live theme customizer and you can preview the changes in the theme before making it visible for your users. 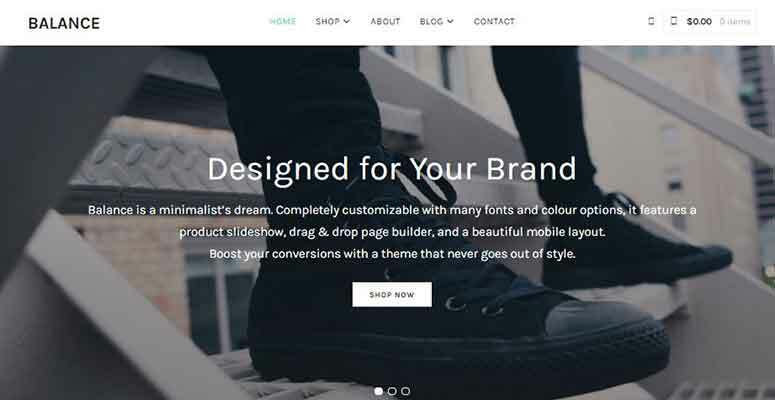 Hugo is a WooCommerce theme to create your online store with WordPress. 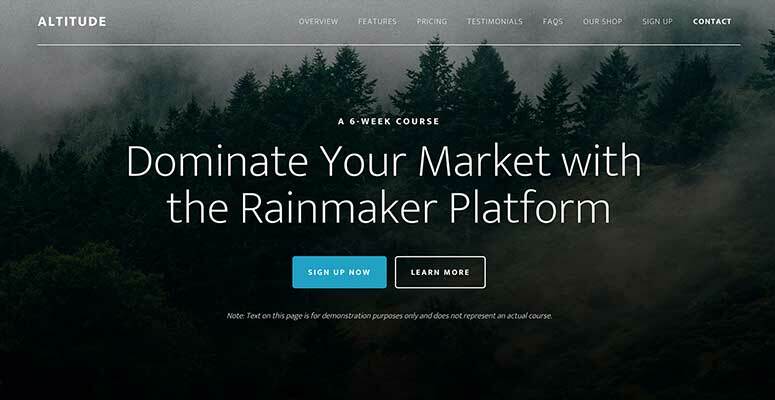 It’s a flexible theme with premium-like features that fully supports your online business. It allows you to showcase your featured products on the homepage slider. It has social media widgets, content discovery options, blog page, and contact form support. The custom theme options panel includes unlimited color and theme customization options. Presence is a multipurpose theme for WordPress WooCommerce stores. It comes with multiple built-in website templates that include an eCommerce store layout. You can simply change the content and launch your online shop. 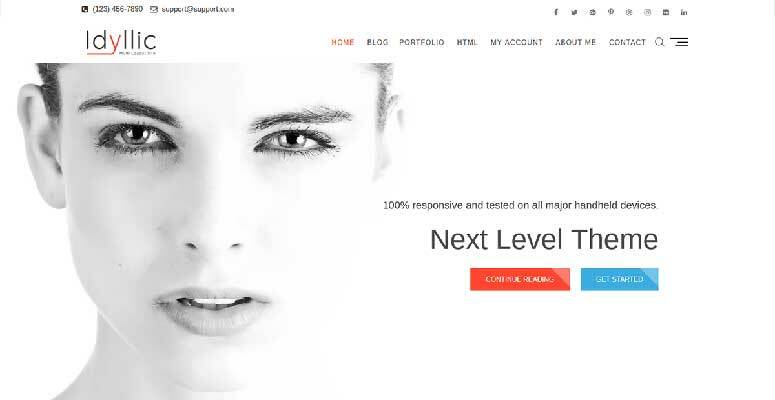 It features multiple color skins, ready-made page layouts, image sliders, homepage sections, and full-width templates. It’s easy to install and set up in WordPress. 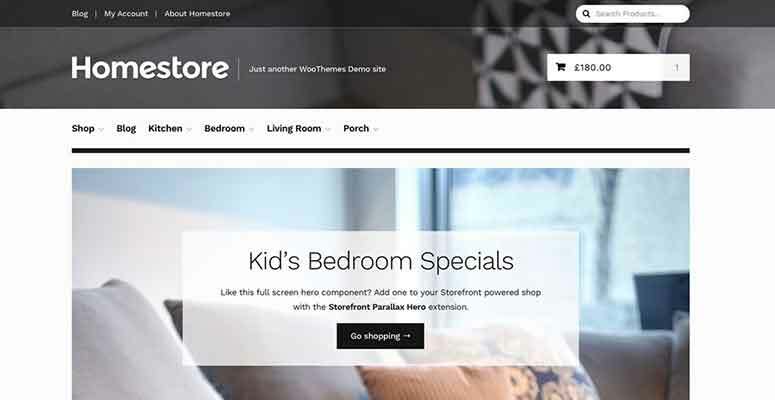 Homestore is a child theme of Storefront WooCommerce theme. It inherits all the parent theme features which makes it a powerful theme. It’s suitable for the household products, home based decor, and other online stores. It fully supports the Storefront extensions bundle which gives you an instant access to all WooCommerce features. It’s a beginner friendly theme for online stores. 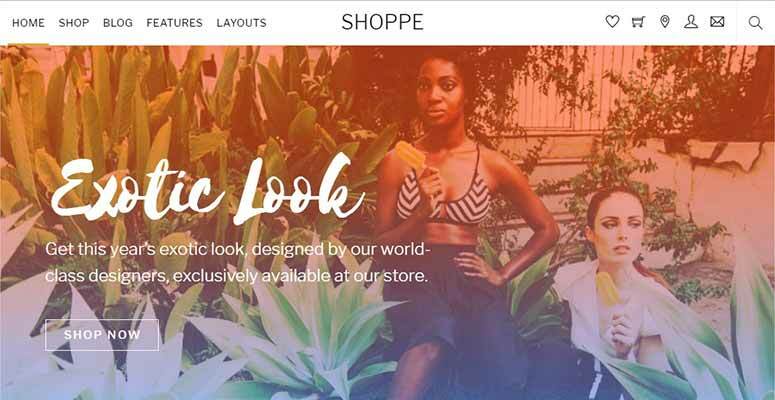 Shop Isle is a WordPress WooCommerce theme to launch your online store. It displays large images of your featured products on homepage and also includes a featured products section. It comes with full-width homepage slider, blog page, parallax background, product search, product sorting, and much more. 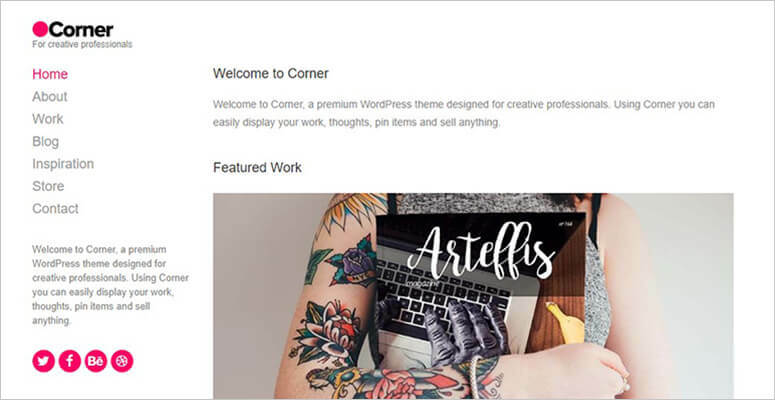 Corner is a modern WordPress theme that can be used to create a WooCommerce store. It’s a minimalist WordPress theme with a sidebar and spacious content sections on the homepage. It has unlimited color choices, social media widgets, featured content sections, and content discovery options. It’s easy to install and set up in WordPress. 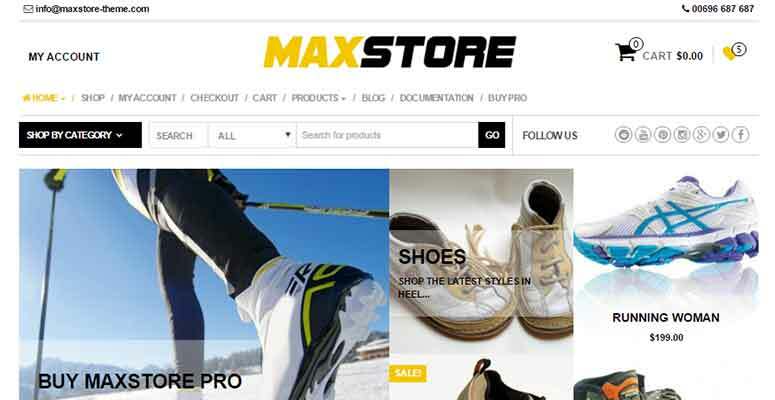 MaxStore is a free WordPress theme for your online store. It has full WooCommerce support and also works great with all the WooCommerce extensions. It comes with premium features for online stores on the homepage including powerful product search, product categories, smart cart, wishlist, and more. It showcases your products professionally on the homepage. For easy customization, you’ll have custom widgets, color schemes, and a live theme customizer with preview. 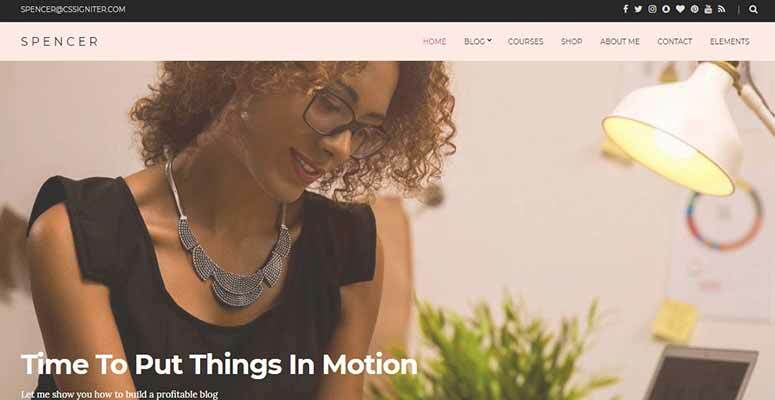 Balance is a modern WordPress WooCommerce theme suitable for your online business. It has premium-like eCommerce features, homepage layout options, custom landing page templates, and more. It offers multiple page layouts for your shop and products. It comes with 6 color skins, social widgets, Google Fonts support, and a custom logo area. Balance is fully optimized for speed and performance. Hotel is another child theme of Storefront WooCommerce theme. It’s suitable to create WooCommerce shops for hotels, hostels, guest houses, and other hospitality services. 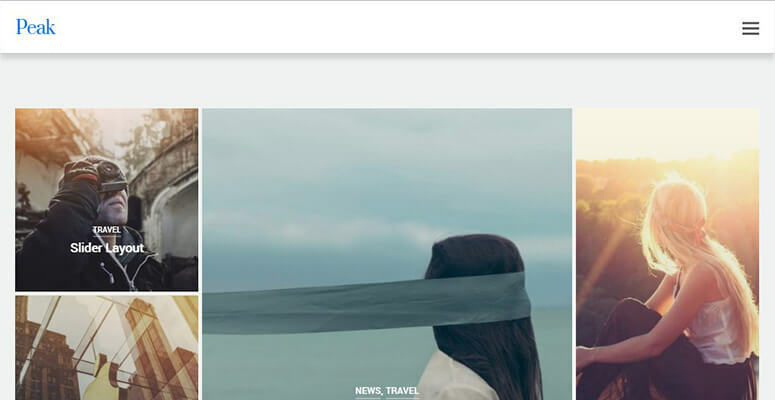 It display a featured image on the homepage including welcome message and a call-to-action button just below the navigation menu. You can use the WooMarketing bundle to boost marketing for your online store. It comes with email marketing services, smart discount options, checkout with social profiles, and more. Outlaw is a beautiful WordPress theme for all types of WooCommerce shops. It has a simple and neat design template with crisp typography support to add your content beautifully. Inside you’ll find multiple page layouts, image slider, drag and drop page builder, product features, translation-ready with WPML, and much more. Digital Pro is a WordPress theme build on Genesis framework which makes it a powerful theme. It can be used to create your WooCommerce store easily. It has multiple layouts for your online store, custom widgets, flexible header options, page builder, and layouts. The custom theme options panel and live theme customizer can help in easy customization. Latest is a modern WordPress WooCommerce theme that can be used to easily create professional online stores. It comes with multiple page layouts, blog templates, and featured products section on the homepage. It supports amazing features for your online store like sales banner, featured categories, popular products section, and more. It’s an easy to set up theme with out of the box WooCommerce support. 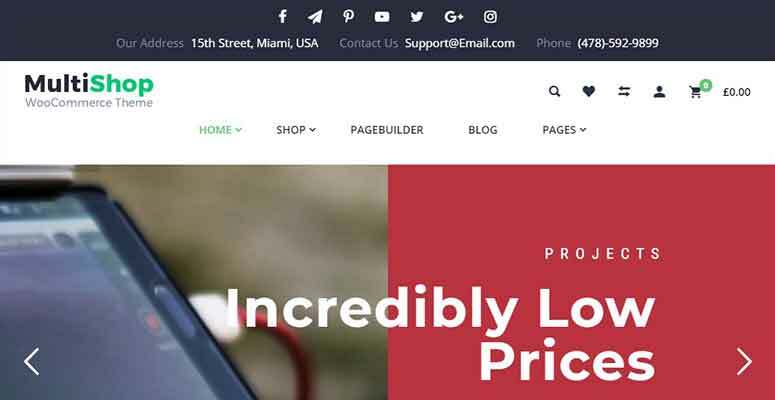 Løge is a professional WordPress theme for WooCommerce stores. It supports product columns, product search, filters, shop front layouts, and more. 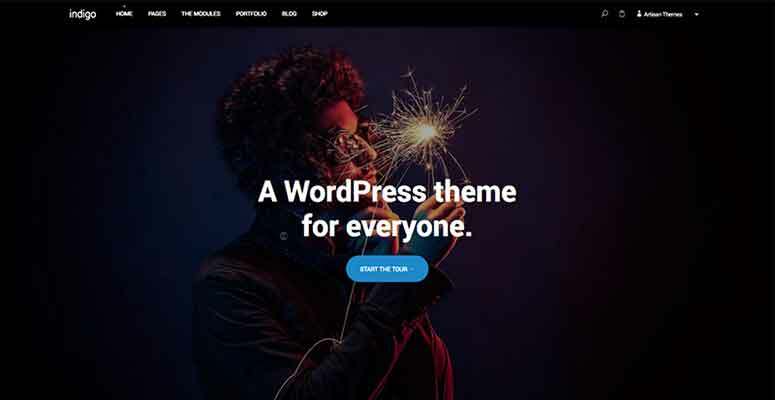 It includes unlimited color choices, custom logo, multiple widget areas, crisp typography, and a live theme customizer to easily manage your website settings. Aesthetic is a minimalist WordPress WooCommerce theme for your online store. It’s suitable to sell your photos, lifestyle products, and fashion accessories. It features a built-in page builder to quickly set up your online business. It comes with custom widgets, color schemes, sidebars, theme options panels, and a live theme customizer with preview. 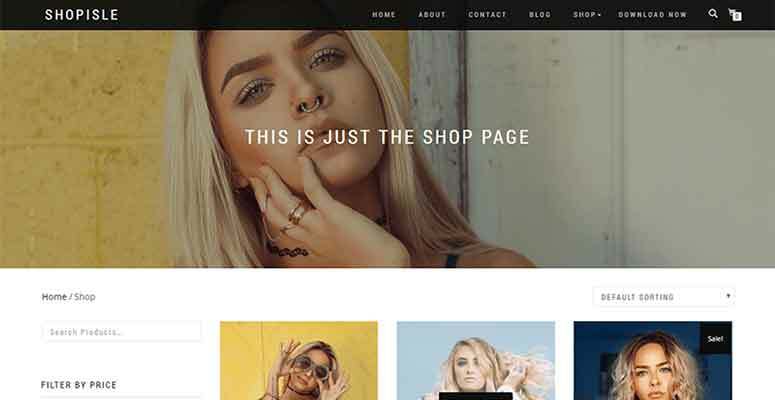 Neto is a powerful WordPress WooCommerce theme to start an online store. It comes with a featured product slider on the homepage and multiple widget-based sections to easily add your content. It ships with custom widgets, shortcodes, color schemes, social media integration, and a custom logo area. The theme options panel and live theme customizer can be used to easily manage theme settings. 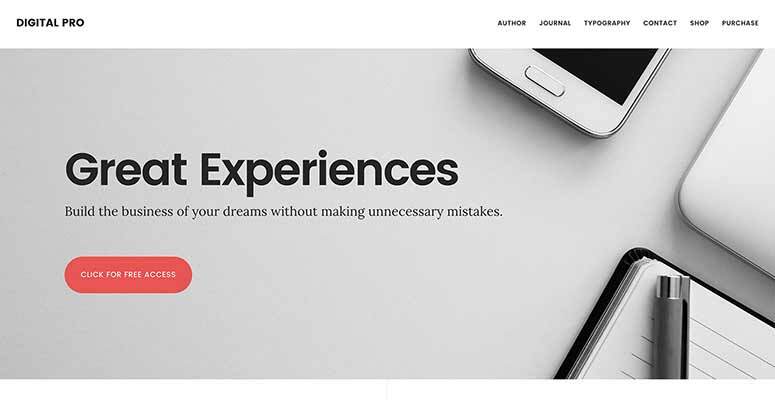 Lenscap is a WordPress WooCommerce theme to sell online magazines, books, and literary material. It has built-in sections to add your content beautifully on the homepage of your website. It has elegant product page templates, image galleries, a custom header, a product search area, product categories, and filters. It’s a highly customizable theme with flexible options for your online store. 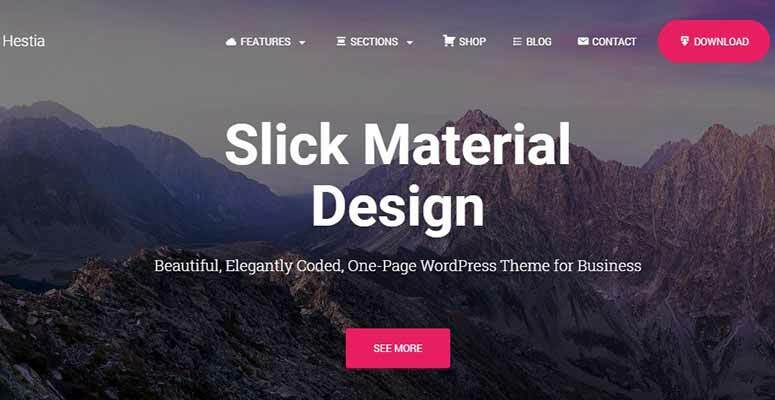 Highend is a modern WordPress theme for your WooCommerce store. It comes with multiple page layouts, a drag and drop page builder, multiple sidebars, and more. It supports custom fonts, social integrations, color skins, widget areas, and featured product sections. Highend is a beginner-friendly theme with multilingual support out of the box. Indigo is a WordPress theme with full WooCommerce support and designed to create an online store you need. It ships with a page builder that can be used to design your custom page layouts easily. You can also use their built-in page templates to quickly launch your online shop. It includes custom widgets, social sharing icons, pricing tables, contact form support, and multiple page layouts. 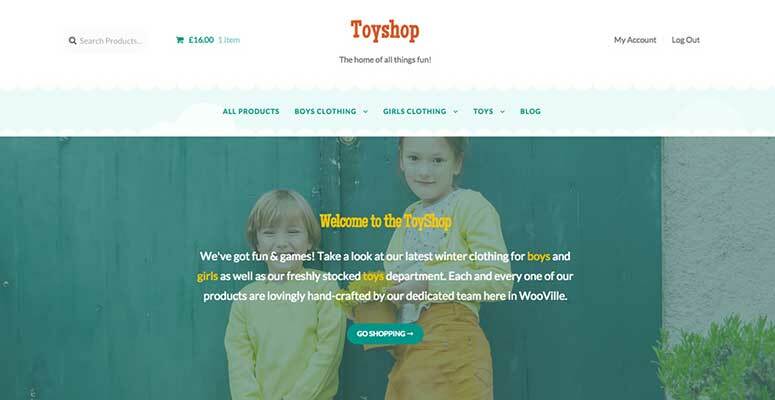 Toyshop is a stylish WooCommerce theme suitable for your toy store, children’s clothing, and other family based products. It has bold and bright colors for both template design and fonts. It offers an amazing visual experience for your users. It’s a child theme of the Storefront WooCommerce theme. It includes custom header layout, background image, unlimited colors, column, and full width templates. Toyshop fully supports all WooCommerce extensions. 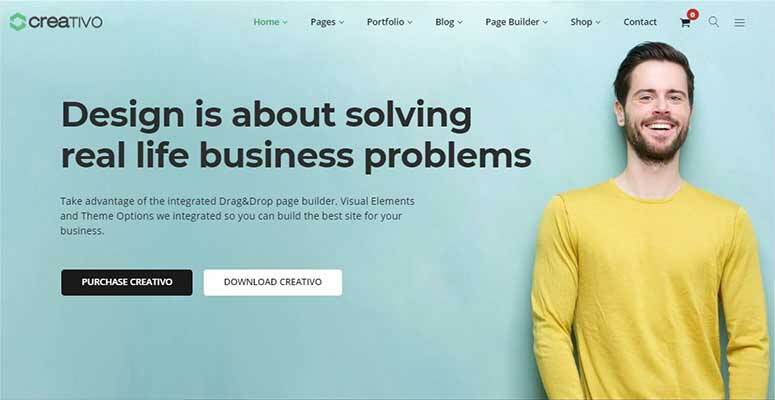 Creativo is an excellent WordPress WooCommerce theme with multipurpose features. It comes with 1-click demo content importer that can be used to quickly create your online store and change the content. It features custom page templates, product page layouts, drag and drop page builder, image slider, and companion plugins to add more functionality on your online shop. Creativo has its own custom theme options panel for easy customization. If you’re looking for a beautiful and free WordPress theme for your online store, then Idyllic is the right choice. It fully supports WooCommerce and all its extensions. Idyllic comes with multiple page templates, custom homepage layout, built-in corporate section, and landing page designs. It has color choices, custom widgets, featured content boxes, and a full-width image on the homepage with text and buttons. It’s a translation ready theme and can be used to create a multilingual website. Amaryllis is a WordPress WooCommerce theme for your online store. It comes with a full-width image on the homepage and custom header layout. It has built-in sections for popular products, categories, featured posts, and other useful content. It features a widget-based layout to quickly set up your online shop. You can use the live theme customizer and theme options panel to edit theme settings. PISCO is a beautiful WordPress WooCommerce theme with homepage slider for your featured products. It has options to add short product description and buy now button. It includes a custom header layout, social sharing icons, beautiful navigation menu, and more. It supports eCommerce featrues like wishlist, advanced shopping cart, user login option, and popular products sections. Altitude Pro is a modern WordPress theme that can be used to create your WooCommerce store easily. It comes with beautiful typography support and wide layout. It’s built on top of the Genesis framework which gives the theme a solid foundation. It has multiple homepage layouts, navigation menus, custom header, and sidebars. It has Genesis theme options panel with many customization options. 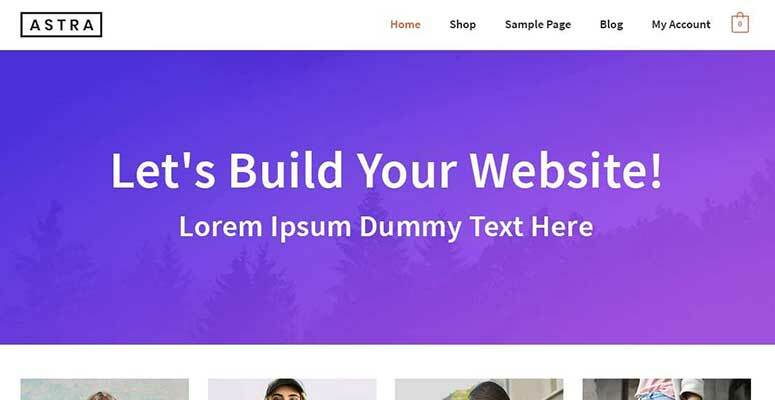 SolidBox is a stylish WordPress WooCommerce theme to start your online store. It’s a highly customizable and flexible theme with premium-like features for online business websites. It comes with custom page templates, header layouts, support for shortcodes, landing page designs, and more. It features companion plugins for page builder and multilingual support. 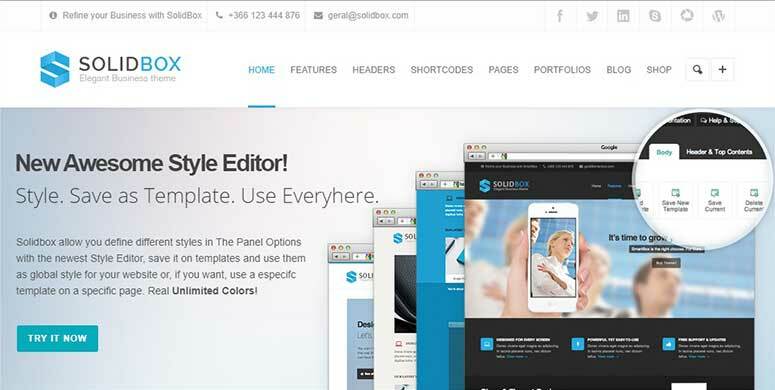 SolidBox is easy to set up with the live theme customizer and custom theme options. 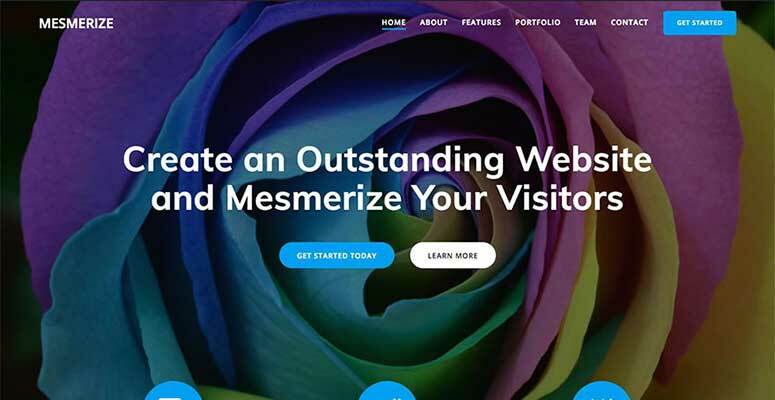 Mesmerize is a free WordPress theme for your WooCommerce store. It comes with a built-in widget-based homepage layout and custom header options. It has multiple templates for the homepage to customize the front look of your store. It features ready-made sections for featured products, content, product categories, and more. 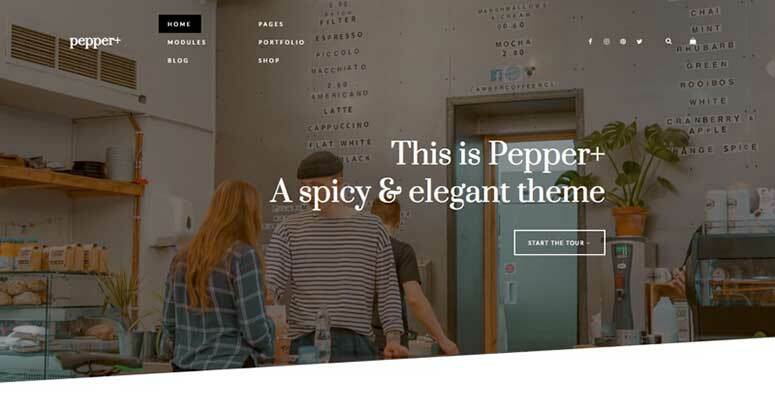 Pepper+ is a multipurpose WordPress theme that can be adapted for your WooCommerce store. It has multiple built-in website templates that you can use to quickly launch your online shop. It has flexible options to customize the theme settings. It supports pricing tables, popular products, Google Maps, image sliders, galleries, contact forms, and newsletter subscription box. 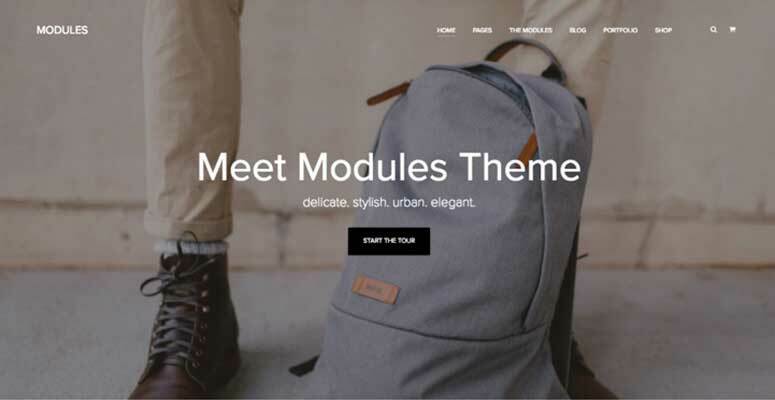 Modules is an elegant WordPress theme for your online store. It fully supports WooCommerce and all its extensions. It’s based on modules and components that can be helpful in quickly adding content on your website. It comes with crisp typography support, icons, parallax effects, video background, and a 1-click demo importer. Modules is easy to set up and start your online business. Astra is a another free WordPress WooCommerce theme suitable to create online stores easily. It’s highly customziable and offer multiple built-in page layouts. Most of the theme is widgetized, so you can drag and drop features to quickly set up your WooCommerce shop. 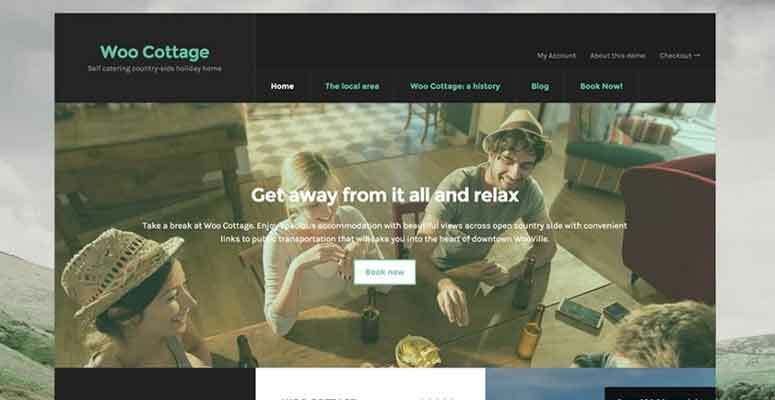 It includes a drag and drop page builder to design your own custom templates for the homepage. Flevr is a professional WordPress theme for WooCommerce stores and online shops. It has a widget-based layout for the homepage and landing pages. The homepage features a full-width image slider and featured products sections. It includes ready-made homepage sections for services, image galleries, testimonials, portfolio, team members, and more. It’s a beginner-friendly theme with a live customizer to manage settings. 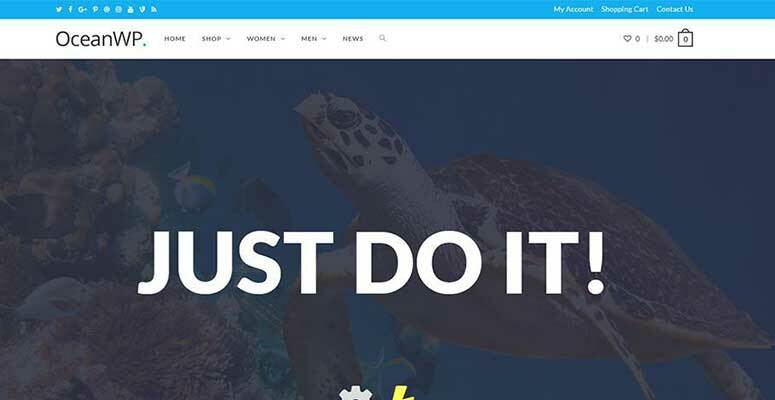 OceanWP is a WordPress WooCommerce theme designed specifically for online stores offering fashion and lifestyle products. It works great with all third-party WordPress plugins to add powerful features on your website. OceanWP is a free theme with custom header layouts, unlimited color options, custom widgets, image sliders, and a featured products section. It’s easy to install and set up in WordPress. 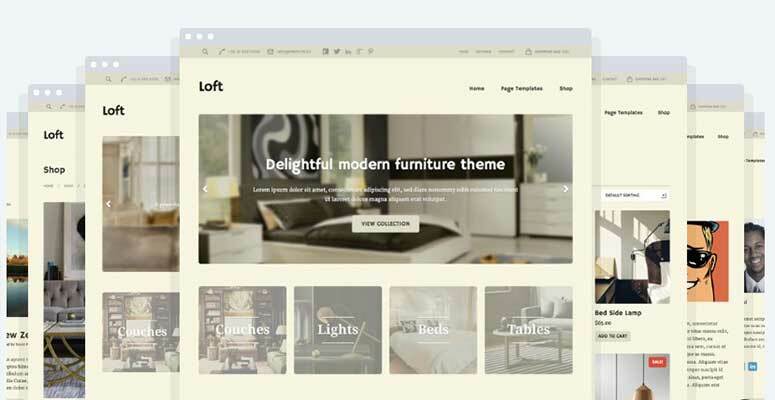 Loft is a stylish WordPress theme for all kinds of websites. It has a multiple ready-to-use website templates including an eCommerce layout. Loft is a fully flexible and easy to customize theme. It comes with a homepage slider, popular products, content boxes, and other storefront features. It features beautiful navigation menus and social sharing icons. Peak is a beautiful WordPress theme for your WooCommerce store. It includes masonry style images with big thumbnails on the homepage. It also features popular products and blog posts below the images. It comes with custom post types, page templates, mega menu support, custom widgets, and unlimited color schemes. It supports a drag and drop page builder to easily set up your online store. Bento is a powerful WordPress theme for your WooCommerce store. It’s available for free at the WordPress themes repository. It fully supports all third-party page builder plugins to drag and drop features on your online shop. It comes with custom widgets, color schemes, page templates, header layouts, and more. It can easily customized using the live theme customizer with preview. 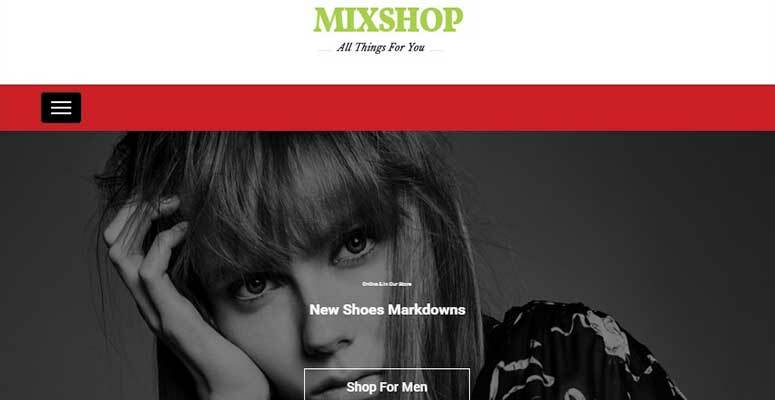 MixShop is a stylish WordPress WooCommerce theme. It offers premium features for your online store like popular products section, products search, product categories, ajax cart, pricing tables, and more. Inside you’ll also find custom layouts for the homepage, mega menu support, color presets, and more. MixShop is a beginner-friendly theme and easy to set up using the drag and drop feature. 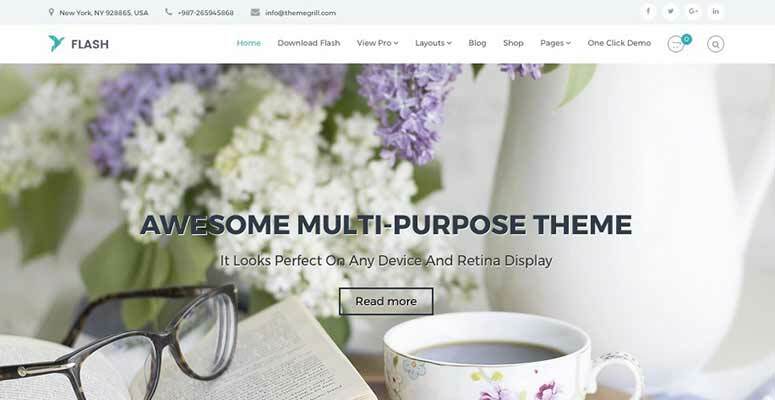 Flash is a simple and neat WordPress theme for your WooCommerce shop. It has multiple page designs to change the look and feel of your website. Flash is a free theme but it offers premium features for your online store. It’s packed with header layouts, custom page templates, separate blog page, and more. Bellini is a powerful WordPress eCommerce theme that can be used to create an online store. It fully supports WooCommerce and all its extensions. It has a beautiful image slider, homepage sections, sidebars, and more. It has multiple widget areas, custom templates for product pages, color choices, custom widgets, and a live theme customizer to manage theme options. Fashionable Store is one of the best WooCommerce optimized themes by Akisthemes. This theme is best suited for building online clothing stores, shoes stores or any other online stores you can think of. 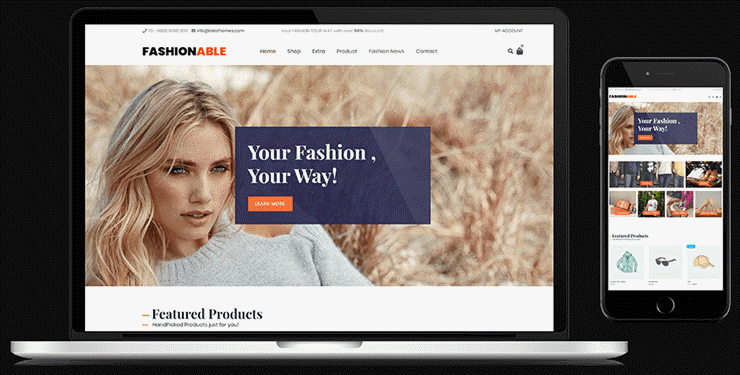 Fashionable Store is fully compatible with WooCommerce and Max Mega Menu plugins. You can choose between 2 different demo sites to get your online store up and running easily. 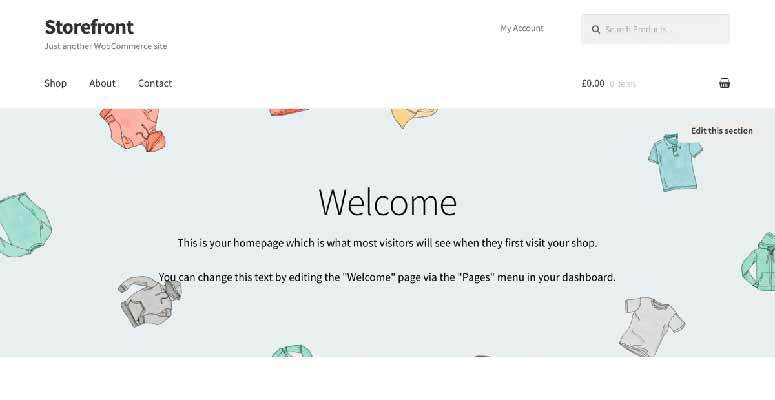 You can also build your homepage with the native Customizer and agnostic page sections. 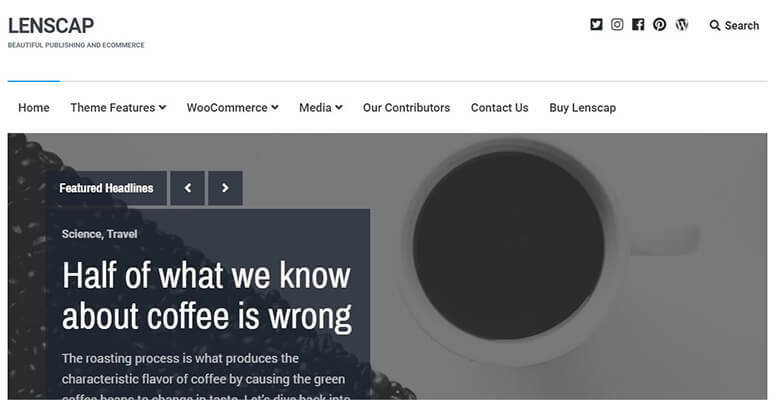 We hope this article helped you find the best WooCommerce themes for your online store. You should also check out our list of the best WooCommerce plugins to grow your sales rapidly.